1 Blemished Available: $89.96 This item is available as a Blem/Refurb. These are items that cannot be sold as "New" merchandise and are limited to stock on hand. See the product details for a description of the product's condition. Biltwell has attacked the status quo with a line of DOT-approved open-face helmets in a whole new range of tough-looking paint finishes. In a few short years, open-face helmets have become as common as denim and leather at motorcycle hoedowns from Baja to the Big Apple. There's a Bonanza helmet to fit everyone's individual head and style. This leaner, lighter and even more comfortable DOT-approved 3/4 lid boasts the same classic finishes as Biltwell's other lids on an even lower-profile molded ABS shell. The Bonanza's interior boasts a custom-shaped EPS safety shell and a hand-stitched removable liner with moisture wicking brushed Lycra panels and open-cell foam padding for breathability and comfort. The nylon neck strap features plated steel D-rings and a strap retainer with anvil branding. Bought this helmet for my wife. Good quality and good interior padding. We wish it was more low profile than it is. Especially for an extra small. Well worth the money spent... much more comfortable than I expected. Perfect low cost high value helmet. I got the matte black with the chrome bubble shield and I absolutely love it! Fits good, looks good, the bubble shield snaps are good and solid. There aren't any gigantic logos all over it like on other helmets. I would highly recommend to someone in the market for something with more protection than a half but more comfortable than a full. slightly large and fits my intermediate oval head just fine. Weight not bad, a bit noisy but airflow is pretty good. I wanted a helmet that looked vintage for vintage trials. This seemed to be the best choice for looks and price. The fit was perfect for me and the padding is nice around your ears, it doesn't squish your ears flat. Comfortable and fairly light. I bought a biltwell visor to go with it too. Gorgeous design, will complement my cruiser very well also the price is extremely reasonable! Thank You RevZilla! I was looking for a 3/4 helmet that had a smaller profile than my current 3/4 helmet. The style, look, and excellent reviews got me excited about this helmet. This is my first open-face helmet. I can't wait for it to come in! Good reviews. Style/Classic. Matches my cafe racer. My wife wanted a vintage looking open face helmet that she could wear a bubble visor with. Biltwell makes a quality product. Tired Bell Custom 500. The Biltwell Bonanza simply fits my round head better! looks good and heard it was comfortable. I have a bell helmet that is a bit too rounded off and this one seems to fit longer, narrow heads a bit better. For the look and the price. But the reviews from revzilla.com and the comments from customers is what sold me from other helmets. Needed a summer open face helmet that has a vintage look but comfortable. The reviews look promising. Fantastic helmet! Comfortable and stylish! Matches my HD FLS paint perfectly! retro look with more safety than a half helmet. I chose Biltwell because I like their products. Looks great, good reviews. Revzilla seems to be a great seller. This helmet had great reviews. Love the Retro look. Matches my Harley's personality! low profile, great color selection, reduced noise when compared to my current 1/2 helmet, read a couple forums from folks who have crashed in these and lived to tell about it. I have another one, want one more. Retro styled helmet, good comments about its quality and comfort. Low priced with DOT certification. Like the style and Biltwell's reputation for quality and fit. The clincher on this purchase was confirming that the helmet is made in Taiwan, not Communist China. Almost ALL other open face 3/4 helmets are made in China. Looking for a reasonable price retro helmet for my vintage scooter. Also liked the color choices. For the misses when she wants to ride along. Hot FL days bake you inside a full face helmet. I still want to keep my ears covered though. I recently bought the Vespa 70th anniversary edition and after several helmets, I chose this style. Liked the style and it fit really well. reading the reviews.. will wait to try it and see for myself! Retro style and lightweight. Ideal for everyday city use. I was originally looking at a Bell Helmet but the descriptions of the fit seemed to describe my head shape better. love the look and stand by Biltwell products. It was a brief love affair with less safety. Great feeling and fitting helmet but I switched back to my full lid because I'm a scaredy cat. Reminded me of my old Bell from 40 years ago. Still my favorite style. Short trips and warm weather. Does not compare in comfort with newer, flip down visor helmets. 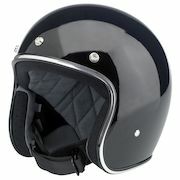 I bought the Biltwell Gringo and love it but wanted a full open face option. 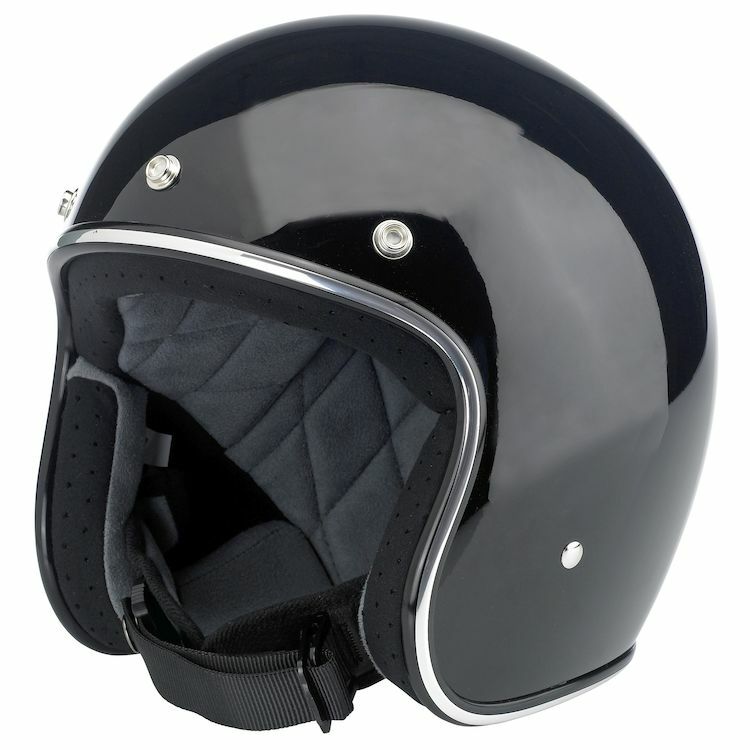 I wanted to go with a retro but yet classic helmet, I found it with this Biltwell helmet. I like the nostalgic look of this lid. Will a sena comm product fit to this helmet? BEST ANSWER: yes and no -- the cheek pads are removable but running the speaker wires through the top can get uncomfortable for your head over a period of time. I have this helmet as well as the gringo and have used the sena smh10r on both. It looks like you're astronaut with the bubble shield on and there's *a lot* of wind noise the comes through the mic for obvious reasons. BEST ANSWER: Hi there! I actually have tried 3 of the bonanza helmets on trying to get the right fit. According to the size chart I should be a medium, at 55 cm, and it did seem kind of egg like. Once I got down to the xs, which fits me, looks cool. I'd suggest going a size smaller than the chart (basically whatever size you wear in other brands). The inner shell is about an inch thick so it does give the appearance of egghead but it is an awesome helmet. A friend of mine has the novelty builtwell and it fits perfect not good for riding though because its not dot certified. You'll definitely look like egghead from batman. it has an oblong fit as well. For me it was fine on the sides but I could fit my entire hand up the back. I ended up buying the Bell 500 which has a good fit for me. Is this helmet oval or round? BEST ANSWER: Its oval. I have a Bell which is round and rather uncomfortable and a Biltwell which is semi-oval and fits amazing. Biltwells are a size up, I'm a Bell medium and a Biltwell large. does the shape of the helmet changes from bell 500 to bitwell and i dont know which one will be a better fit? BEST ANSWER: The fit is very similar between both and for myself i found the shape of the biltwell less bubble head, by the way bell will come out with a new 500 in march with a better shape, less round. Hope this help you. The fit is very similar between both and for myself i found the shape of the biltwell less bubble head, by the way bell will come out with a new 500 in march with a better shape, less round. Hope this help you. 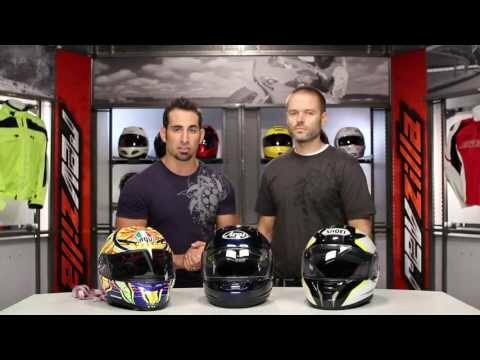 How does the size of this helmet compare to the Bell 500 Custom or Z1R Jimmy Retro? My head circumference is 22 1/2" which equates to a large in this helmet. I recently purchased a Bell 500 Custom in Medium but returned it because it was a little too big and pressed on my forehead, and I've tried on a Z1R Jimmy Retro and found the small to be about right. Other peoples reviews suggest that this helmet is better suited for narrower head shape, but I'm worried about the sizing. BEST ANSWER: Kristen - I have a 23.25" circumference head. I originally bought the Bell Custom 500 in large - looks great, good reviews. Unfortunately, I too suffered with the fit. The problem as I see it is that unless you have a head shaped like a golf ball, the helmet won't fit. I have an intermediate oval type head and the 500 pinched real hard on the front and back of my head (to the point of getting a headache) while there were large gaps on the left and right side of my temples. I also had problems with the stitching on the inside liner, but that's a story for another day :) When I spoke to Revzilla customer service they suggested I try the Biltwell Bonanza because it has a more ergonomic shape. Biltwell's sizing is different from Bell's. I needed a L in the Bell and a XL for the Bonanza. The fit is true to form. It fits really well. Snug all the way round without pinching. It's definitely been developed for a rider with a narrower shaped head. I had some problems with the finish of the trim on the black gloss model, so I returned it and ordered the matte black. It arrived today and I'm pleased to say that the quality is tip top. Big thanks to Revzilla customer service for all their help. I have order a xl bonanza an it was too big i have a 7 1/2 head (60 cm) and now i got the bonanza in large and fit perfect! So the size chart have not worked for me!! Bell pressed on my forehead too. This helmet is super comfy. Problem solved. I had a similar experience choosing between the Bell 500 Custom and Biltwell Bonanza. Based on my head circumference measurement, the recommended size in both is an XL. I have an XL in both helmets. While both fit, I have pressure points on the Bell. I don't have any pressure points on the Biltwell in the compatible size to the Bell. Biltwell does seem to favor a long oval fit. I have a narrower head shape, and have been very happy with the Biltwell fit. I hope this helps! I have a Bell but its way too big for my head so I have no real comparison but dont go off the size chart it is way off, I have a 61 cm head and im in a large not a 2x like i think the size chart says. it even says inside the helmet that a large is 59-61 cm so i dont know how this chart got so messed up. If it presses on your head you can always use your thumbs and press down the liner a little bit to get a slightly better fit, thats what i had to do and mine fits great now. I found these helmets to run smaller than I thought. Maybe it's due to the unisex size. I was just under a 22 1/2 and wanted to make sure the helmet wasn't loose so I ordered a medium. I had to return it because it was giving me headaches. I ended up with a large and my buddies bought XL. I would go with a slightly larger size. BEST ANSWER: I have attached a Sena20 to mine, using earbuds has my "speakers", and one of the shorter mic booms that come with the Sena. I do not have much trouble "hearing", but have yet to use the mic. I also have a bubble shield attached to my helmet, which I am sure makes a different on wind noise. haha well, you probably won't be able to hear anything. unless you have a quiet helmet, over 50 mph you're unlikely to hear anything, especially with an open face. Hi. I'm a Large in the Gringo. Would I be a large in this too? I tried this on in XL and it was ENORMOUS, so I'm wondering if I should jump down to Medium. BEST ANSWER: The cheek pads are U shaped to fit around your ears. There is enough room in there for earbuds. It may take a couple of tries to get the hang of slipping the helmet on without knocking them loose, but it works. Does the 500 bell shield fits this helmet ? I have a Suomy Spec 1R in 2 xl and fits perfectly. My head shaped round wondering about size and shaped? BEST ANSWER: the shape is narrow, I have a big dome (7 1/2, forehead tape) and am wearing a large just perfect.